Obverse Design The legend "L. CHACON TABERNILLA" curves along the top. The legend "CENT-VALE" curves along the bottom. In the center is a large number 10. 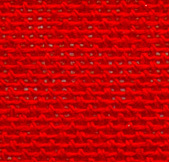 Near the edge is a circle of small rectangular beads. All these legends, the number and the beads are incuse. The token has a smooth edge without a rim. Reverse Design The reverse is blank and does not have any rim. Metal Brass. Size and Shape Round, 20 mm in diameter. Dates Issued Unknown. Probably issued sometime between 1852 and 1885. Rarity Very Rare. Manufacturer Unknown, but perhaps the same one as A. GROSSO COLON Y CHAGRE and other tokens. Other Catalog Numbers Henao's COM 340-2b, Rulau mentioned under CZ 55. Varieties Rulau states that both a copper-nickel variety and a brass variety are known. Population Count One specimen of this token in collector hands is known to me. No recent sales. This appears to be an early Colon token due to the incuse lettering and blank reverse. The similar A. GROSSO COLON Y CHAGRE may date from 1852 or 1853. That piece has no denomination. WING TAI LONG & CO., DOMINGO VEGA and LUM CHANG LONG & CO. have the "5" above "CENT VALE" like this token, but without the beaded circle near the edge. JOSE MONTEVERDE has the beaded edge but also uses the cent sign. If these tokens were all by the same manufacturer using increasingly sophisticated designs, then this token may date from after the WING TAI LONG group but before JOSE MONTEVERDE. Other incuse tokens such as J. DEL C. MEJIA, J. DE LA PENA & CO. and ANTONIO ZUBIETA have a simple reverse design without beads or cent sign. There is also a two-sided example of a A. GROSSO COLON Y CHAGRE. So the manufacturer apparently was able to make double-sided tokens early on. They probably charged more for double-sided tokens, and merchants decided whether or not they wanted to pay the extra charges. These incuse tokens are mostly from Colon and nearby towns. If the manufacturer of these tokens was based in early Colon, they may have been wiped out by the Great Fire of 1885, the financial crisis following the collapse of the French Canal Company in 1889 or they may have simply closed down when the owner died, moved or retired.